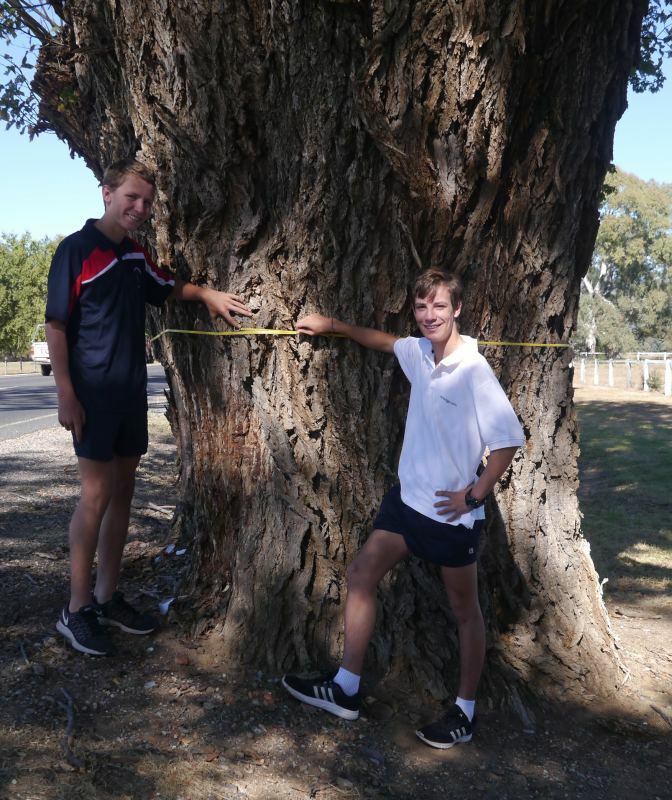 The photo shows D'Arcy & Conor Needham measuring the trunk. The tree looks very sparse due to insect attack of all the leaves. They are riddled with holes.